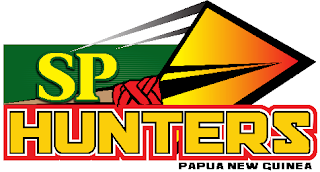 The SP PNG Hunters have slipped to third place in the Queensland Cup rugby league standings, after their three-match winning streak was snapped by the Burleigh Bears at the Gold Coast in Australia yeserday. The visitors trailed 14-0 at half-time, but finally got on the score sheet two minutes into the second spell with a converted try. The Bears restored the home side's 14-point advantage, before the Hunters mounted a late surge with tries to Timothy Lomai and Justin Olam cutting the deficit to two points with six minutes remaining. The Bears held on to win 20-18, PNG's second defeat of the season, and leapfrogged the Northern Pride into fourth spot in the overall standings, behind the Hunters on points differential. Townsville still lead all-comers with seven wins from eight while the Hunters can regain second spot if they beat the Redcliffe Dolphins in Port Moresby on Sunday.